The Cobra to end all Cobras! Since most American automakers offer only a small fraction of their vehicles in Europe, it’s not surprising that the U.S.-based brands skipped the 2018 Paris Motor Show. But surprisingly enough, Shelby American came to France to showcase its latest products, including the new-old Series 2 sports car. One of the most iconic American cars of all time, the Shelby Cobra, came to be in 1962 when Carroll Shelby combined Ford-made V-8 engines with British-designed AC Ace bodies. 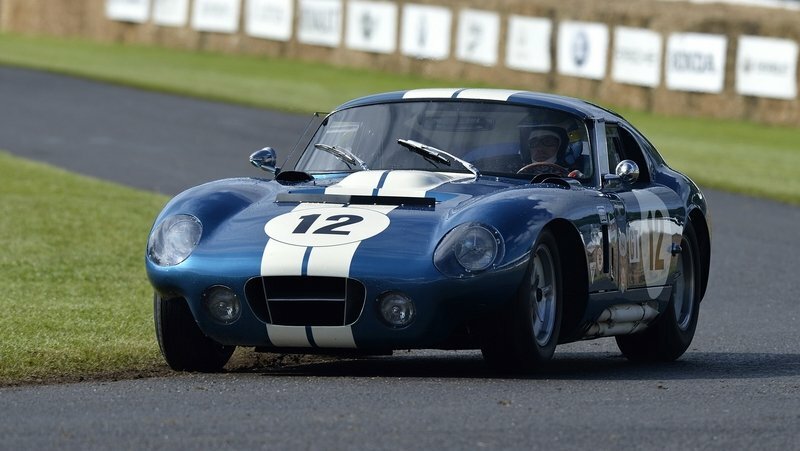 Although the Ace was fairly old and close to discontinuation in 1962, it’s lightweight structure helped Shelby create one of the greatest American sports cars. Built until 1968 in various road-legal and race-spec configurations, the Cobra reached its performance peak when the Super Snake was launched in 1966. Called the "Cobra to end all Cobras," the Super Snake is the rarest of the bunch, and it still holds the title for the most expensive American car sold at auction. "When I built this dual supercharged 427 Cobra in 1966, I wanted it to be the fastest, meanest car on the road," Shelby told Barrett-Jackson in 2007 when the roadster was auctioned for its record price. "Forty years later, it will still kick the tail of just about anything in the world. It’s the fastest street legal Cobra I’ve ever owned." Let’s find out more about this tremendous classic in the review below. Continue reading to learn more about the Shelby Cobra 427 Super Snake. The Shelby Mustang Super Snake has been updated for 2018 and 2019 with extra power, new looks, and a desire to eat anything that comes near it – all for a price of $113,445. If you’re in the market for a Mustang with excessive power and an excessive price tag, then look no further than the update Shelby Super Snake. For that $113,445 price tag, you get a base Mustang GT with a whole host of add-ons that bring power output up to 710 horsepower in standard form. Standard performance equipment includes Ford Performance 710-horsepower supercharger, Shelby’s extreme cooling package, performance half shafts, short throw shifter, one-piece driveshaft (manual transmission only,) Ford performance exhaust, 20-inch wheels, and a Shelby Brembo brake system with break and bearing cooling. That’s not the best of the Super Snake, though. If you really want something more, you can opt for the 800+ horsepower supercharger. It’s a Whipple unit and comes pre-polished. According to Shelby, the 800+ horsepower upgrade can deliver a 60-mph sprint in 3.5 seconds. It might be more powerful and a bit faster, but we’d rather get our hands on one of those 10 1967 Shelby GT500 Super Snake continuation cars instead. 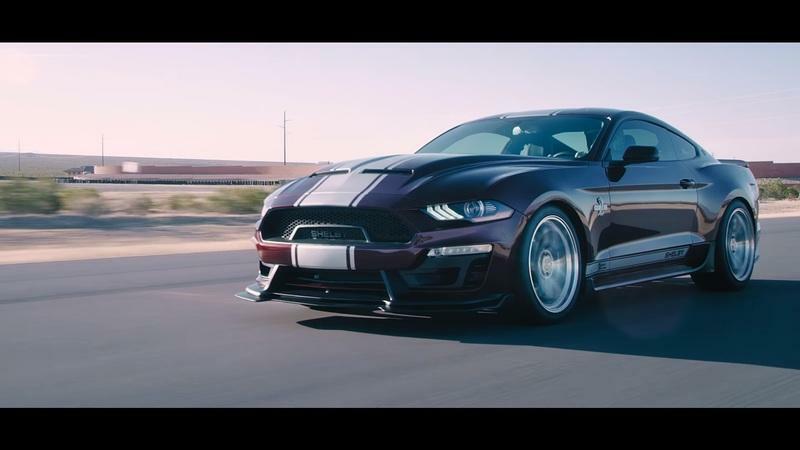 Either way, go ahead and watch the video below to get your Super Snake on full tilt. 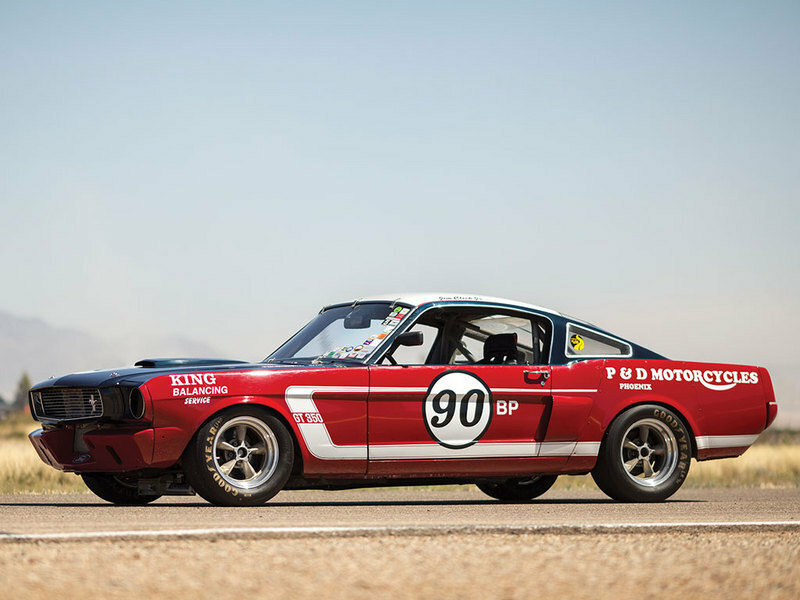 Carroll Shelby’s very own 1966 Shelby GT350H Fastback Hertz Rent-a-Racer is going up for sale at the Bonhams auction in Scottsdale, Arizona. As if 1966 G350H Fastbacks aren’t rare enough by themselves, the provenance behind this model is on another level because of its association with the man who created the Shelby brand, to begin with. If you’re looking for the chance to own this one-of-a-kind model, you’ll need to be in top form at the Barrett-Jackson auction later this month. By all accounts, this car is not going to come cheap. The quickest Shelby in history! It’s been only four three model years since the sixth-generation Ford Mustang arrived in showrooms, and the pony has already spawned an impressive number of versions wearing the Shelby badge. Although the iconic GT500 has yet to be revived, Ford has already launched the GT350, the Super Snake, GT-H, and GTE, just to name a few. The GT500 may still be a year away, but sixth-gen Mustang, but Shelby just launched yet another performance model. This time around it’s the Shelby 1000, the brand’s most menacing creation in terms of output and straight-line speed. The Shelby 1000 is closely related to the GT500, as the first model to wear this badge, launched in 2011, was based on the fifth-generation GT500. Offered in both street and 1000 S/C track versions, the first iteration of the car was discontinued in 2012. The 1000 returned in 2013, once again based on the GT500, but now with the 5.8-liter V-8 instead of the old 5.4-liter unit under the hood. Both the street package and the S/C track package were offered. 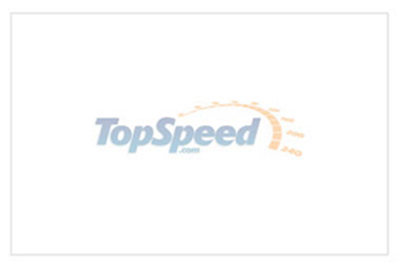 Also available as an upgrade for the GT500, the package was discontinued in 2014, after only two years on the market. 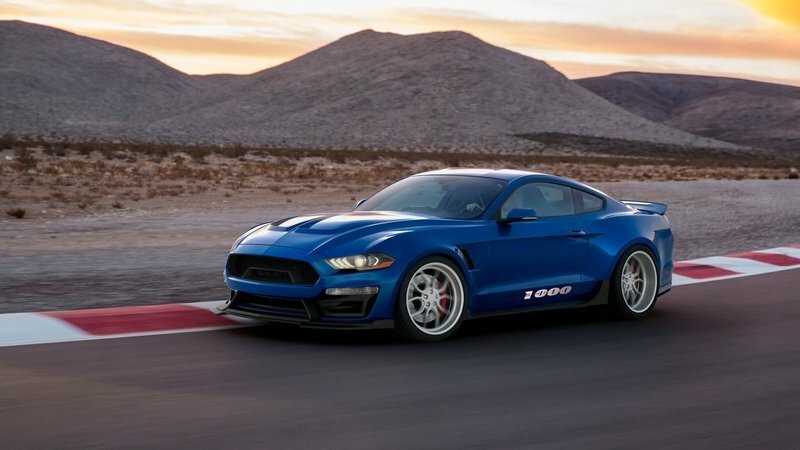 The new Shelby 1000 is the first such model based on the sixth-generation Mustang, so everything about it is new compared to previous iterations. Let’s have a closer look at the car in the review below. Continue reading to learn more about the Ford Shelby Mustang 1000. There’s nothing like a Shelby Cobra 427 revving its big V-8 engine - it’s even better when it happens at the race track. 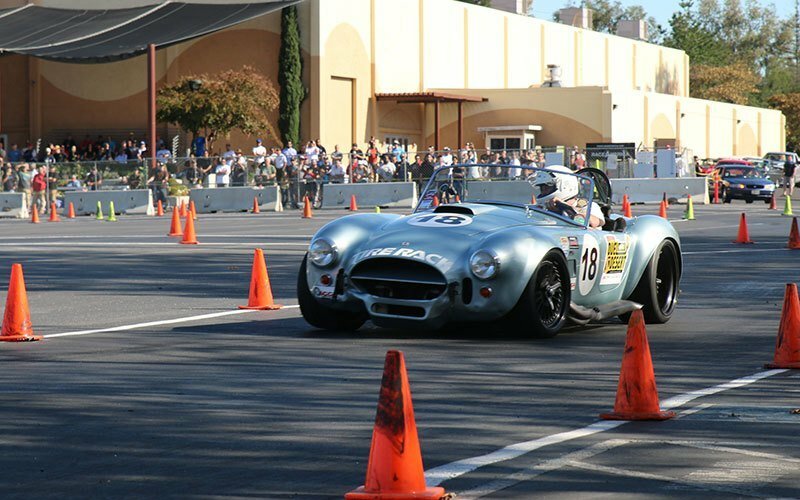 And, this footage recorded by YouTube user "bbrandle2" at the 2017 Goodguys Pleasanton Autocross is proof that the original Shelby Cobra is a crowd pleaser. And loud. And downright awesome! Sure, modern Mustangs and Camaros are cool too, and a Dodge Viper lapping the Laguna Seca is something I could watch for hours, but nothing compared to the magnificent Cobra 427 that Shelby Carroll himself designed in the mid-1960s. It has the looks, the power (425 horsepower of it! ), the exhaust note, and all the fame a muscle car can get. Seeing one in action is a real treat too, since the 427 was produced in less than 350 units, including S/C and Competition roadsters. Continue reading for the video. The history of the Ford Mustang extends more than 50 years, and in that span, a the muscle car’s legacy has been defined by a number of custom tunes and special edition models. As rich as that history is though, there is one model that trumps them all, largely because Shelby only built one model of it as a prototype. That model was the 1967 Shelby GT500 Super Snake, and to this day, it remains as the most expensive Mustang ever sold when it fetched $1.3 million at a Mecum auction back in 2013. 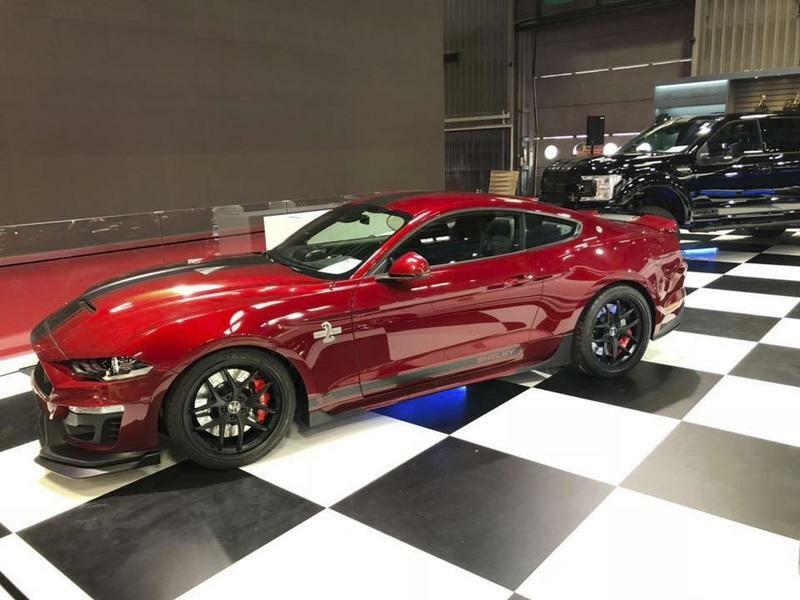 Over the years, Ford has revived the Super Snake name a number of different ways, most recently with the 2015 Shelby Super Snake, a special edition Mustang that was limited to just 300 units. Fast forward to this year and the Super Snake name is making another comeback with the launch of the Shelby Super Snake 50th Anniversary Edition. Yes, the one-and-only original 1967 Shelby GT500 Super Snake is celebrating its 50th anniversary this year and for a car that has turned into arguably the most iconic Mustang in history, a special edition run of 500 units (499 more than the original Super Snake!) is the least Ford can do to commemorate the original Super Snake. 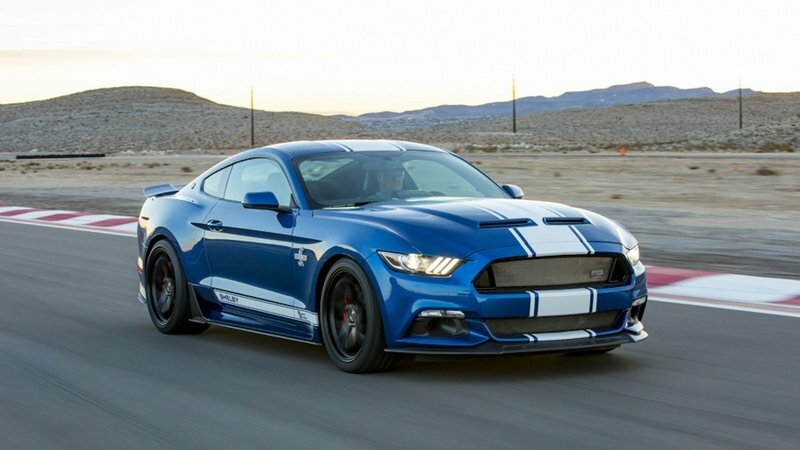 Like with most special editions, the 2017 Shelby Super Snake 50th Anniversary Edition comes with a long list of exclusive features and details, including new bodywork from Shelby, commemorative appointments to indicate its status, and best of all, the option to get the car’s power up to 750 horsepower. The 2017 Shelby Super Snake 50th Anniversary Edition may never have the lasting legacy of the legendary 1967 Shelby GT500 Super Snake, but it is a fitting tribute to a muscle car that was completely ahead of its time in more ways than one. Continue after the jump to read more about the 2017 Shelby Super Snake 50th Anniversary Edition. The Mustang was Ford’s biggest commercial success since the golden days of Model T production. Originally conceptualized as a strict two seater, Ford’s senior executive, Lee Iacocca, realized that its success hinged on volume sales. And volume sales were exactly what Iacocca got, over 22,000 Mustang’s were sold within the first day and more than 100,000 rolled off the production line inside the first four months. Within two years, more than a million would be sold, but come summer 1964, Ford’s executives thought the bubble was about to burst. All GT350s started life on the Ford production line as Wimbleton White K-Code DSO fastbacks with a 271-horsepower 289 V-8 and black interiors. The DSO code referred to the unique blend of upgrades these cars were built with, which included several special bits from the Ford parts bin – all before being shipped to Shelby. The front disc brakes were kept, but sintered metallic pads were used instead of the softer stock ones. Station wagon drum brakes with larger metallic-lined shoes were added at the back. Also added was a nine-inch Detroit Locker differential, under-hood ’Export’ bracing, and close ratio T-10 Borg Warner four-speed manual transmission with an aluminum housing. Cars were shipped from Ford’s San Jose plant to Shelby America’s Los Angeles facility without hoods, grilles, rear seats, exhaust systems, or emblems. Then the transformation really began. In its first two years on the market, the Mustang has already received a handful of updates bearing the Shelby badge, including the GT350, GT, GT EcoBoost, and a revival of the iconic Hertz GT-H model. Come 2016, and Shelby launched a new nameplate, this time around featuring the "GTE" logo and offering a more diverse engine lineup, including the 2.3-liter EcoBoost, the naturally aspirated "Coyote" V-8, and a supercharged version of the latter. Unveiled in December 2013, the sixth-generation Mustang introduced not only a new design language, but also a brand-new platform that features an independent rear suspension for the first time since the pony was launched in 1964. It also received a revamped interior with classic cues and an updated engine lineup that includes a turbocharged, 2.3-liter EcoBoost engine. The sixth-gen car also became the first Mustang to be sold in European Ford dealerships. Available for all Mustang built for the 2015 to 2017 model years, the GTE package can also be had on convertible models, a feature not offered with many other Shelby upgrades. 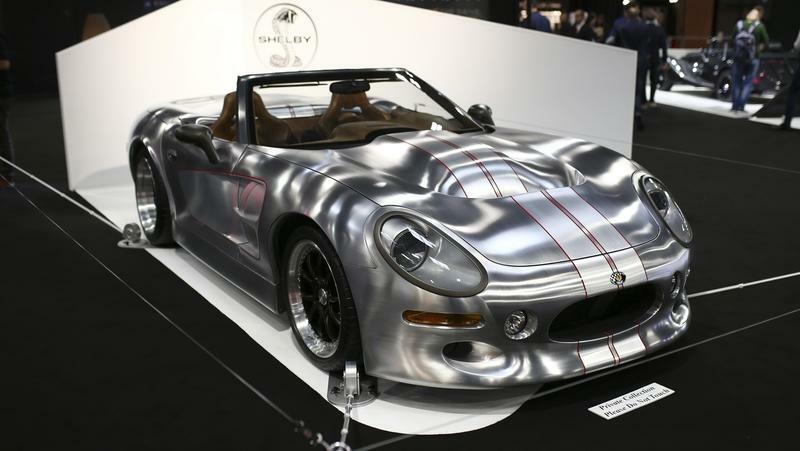 But much like other Shelby models, it can be optioned up with several features, ranging from exterior elements to carbon-fiber panels and drivetrain components. 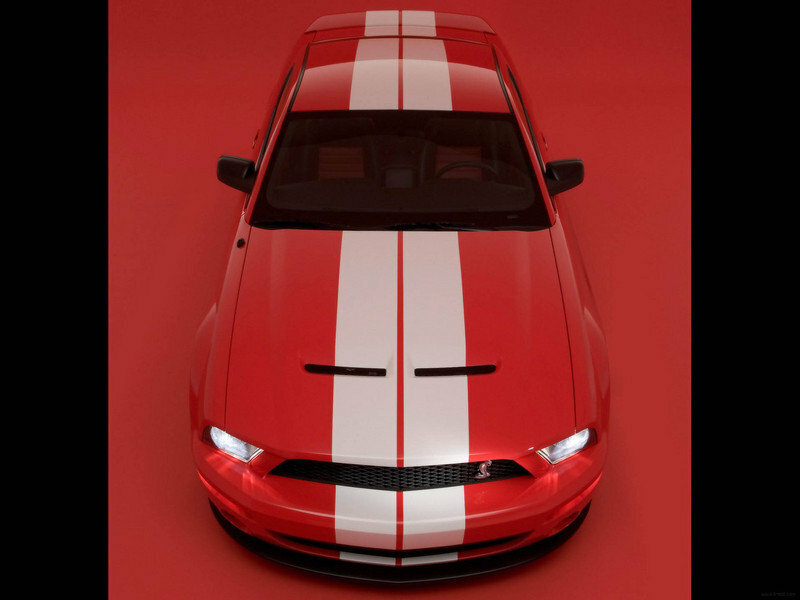 Keep reading to find out more about what sets it apart from the standard Ford Mustang. Continue reading to learn more about the Shelby GTE. If you ask any car enthusiast the name of the person who has been the most influential to the automotive world, nine times out of ten you’ll get the answer “Carroll Shelby.” And, rightfully so – Carroll Shelby had an amazing automotive legacy. And, that legacy all started out with the car you see here: a 1962 Shelby Cobra CSX 2000. While all early Cobras are special in their own right, this one is excessively special because it was the first Cobra built. Ever. It came to be at the hands of Carroll Shelby and a few other people in a small garage in California. There’s a lot more to this specific Cobra, though. 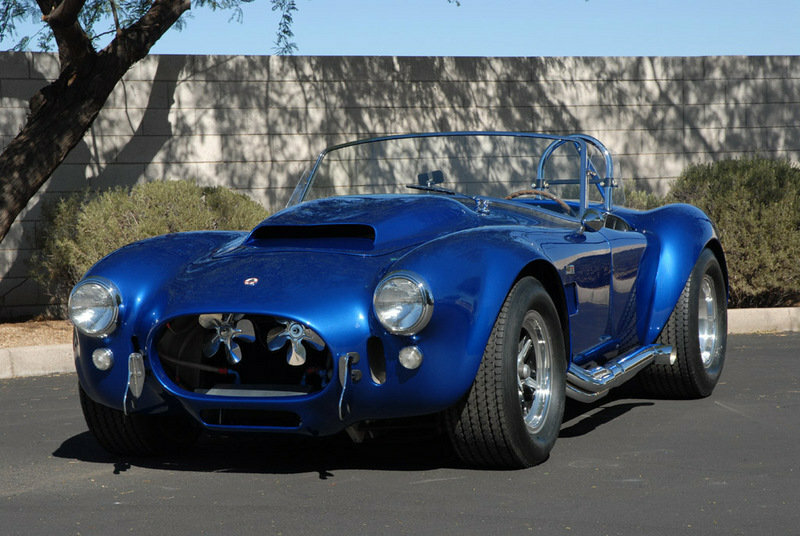 See, this Cobra was built by Carroll Shelby and was owned solely by him. Furthermore, there is a funny story behind it. When the car was complete, it was shown at a number of different venues used by the motoring press and used for testing and development. The funny part is that Shelby had the world convinced that Cobra production was running at full force when in fact the CSX 2000 was the only Cobra at the time. To pull this off, the car was repainted prior to most appearances to give the illusion that there was more than just one for the first seven months of its existence. With that said, this specific Cobra is ready to go home with a new owner and is being auctioned off by RM Sotheby’s in Monterey in August of 2016. It is being offered by the Carroll Hall Shelby Trust and, as such, should come with proof of authenticity. The car isn’t exactly in the best condition it has ever been in – there is definitely wear here and there. But, that is a part of the car’s history. So, let’s take a good look at it before it goes under the hammer in a couple of months. Update 08-21-2016: This gorgeous car just broke the record for an American car sold at Auction. Check out the Prices section below for all the details. Ford gave birth to the GT350 nameplate in 1965, the same year when Carroll Shelby was commissioned to build high-performance versions of the first-generation Mustang. Built in 1965 and 1966, the initial GT350 was not just lighter than a regular Mustang, but more powerful too. Originally rated at 271 ponies, the ’Stang’s 4.7-liter V-8 was uprated to deliver 306 horsepower at Shelby American’s shop, where it would also be equipped with heavy-duty rear axles, larger rear drum brakes, and front disc brakes. All 1965 models were painted Wimbledon White with Guardsman Blue stripes, while the 1966 model year brought more colors to the car. The GT350 continued in 1967, 1968 and 1969 with more cosmetic changes that performance updates. 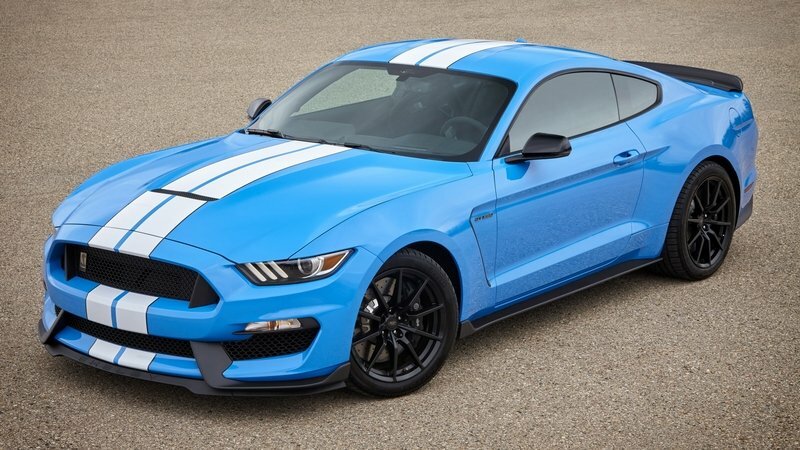 The GT350 moniker disappeared until 2011, when it returned for the fifth-generation Mustang. As the redesigned pony rolls into dealerships for the 2015 model year, the Shelby GT350 has made yet another comeback as a track-prepped version of the sixth-gen Mustang. Introduced for the 2016 model year, the first Shelby Mustang GT350 to feature an independent rear suspension is Dearborn’s answer to the Chevrolet Camaro Z/28. The body panels were reshaped into a more aerodynamic and aggressive shape, including a completely new front section, while the GT’s standard 5.0-liter V-8 was replaced by a slightly larger unit specifically developed for this muscle car. But enough with the spoilers. 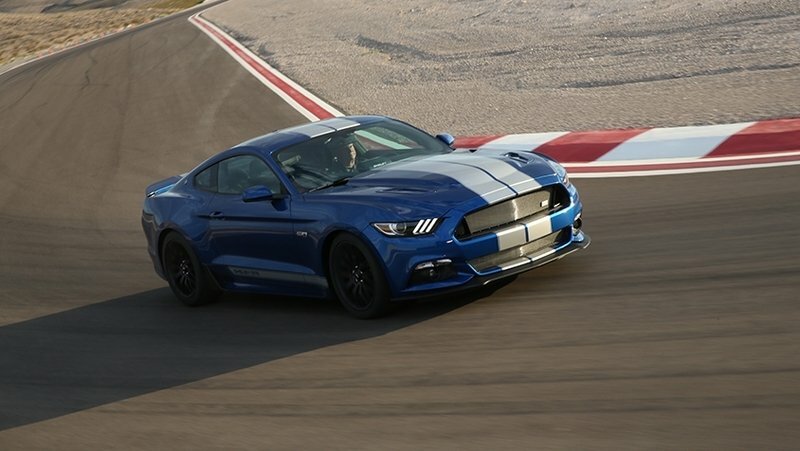 Keep reading to find out everything there is to know about the new Shelby GT350. Updated 06/28/2016: Ford dropped a new video featuring David Patterson "That Dude In Blue" tackling the GT350 Time Attack at the Ford Performance Octane Academy. Hit "play" to watch the new video. The History of Mecum Auctions goes back to 1988 at the Rockford Airport, where the first Mecum Auction was held. Over the last 28 years, Mecum has grown tremendously, now being ranked No. 1 in the U.S. for collector cars offered at auction, collector cars sold at auction, total dollar volume of sales, and the largest number of auction venues. On top of that, it has become the host of the world’s largest collector car auction that is hosted every year in Florida. 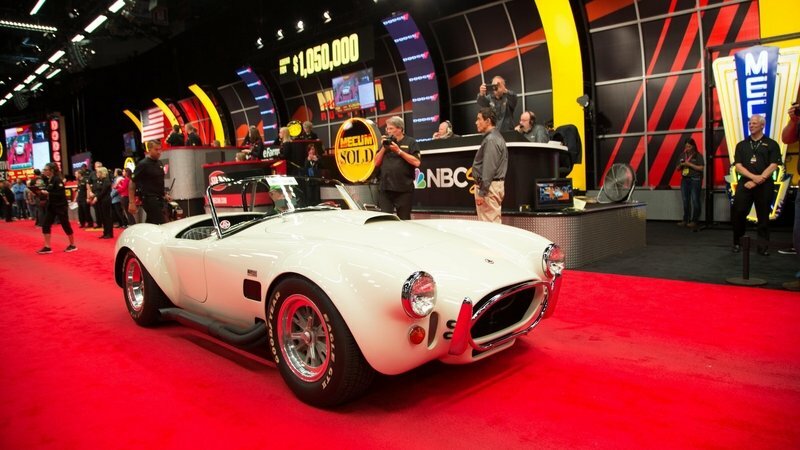 This last week, Mecum hosted an auction in Indianapolis, Indiana at the Indiana State Fairgrounds. This year there was a total of 1,859 lots that included plenty of collector cars, a few gas pumps, some neon signs, and even a few coin-operated kid rides. The big news from this auction, however, was the pair of Shelby Cobras that broke seven digits before the hammer dropped and a few other classics that are well worth taking an extra look at. We’ve taken the time to cover the biggest sellers from the auction as well as a few of those that didn’t sell at all. There was even a 1971 Plymouth Hemi Cuda Pro Stock that got as high as $750,000 but didn’t get quite high enough to cross that thin reserve line. That was just one of many that didn’t sell, and those two Shelby Cobras weren’t the only models that found new owners last week. So, let’s take a look at a few of the most notable vehicles that went under the hammer last week. Carroll Shelby certainly created a name for himself in the 1960s, not the least of his accomplishments being the 1-2-3 win at the 24 Hours of LeMans in 1966. That marked the first time an American car had won the iconic race. Shelby’s fame as a car builder skyrocketed in the fallout. 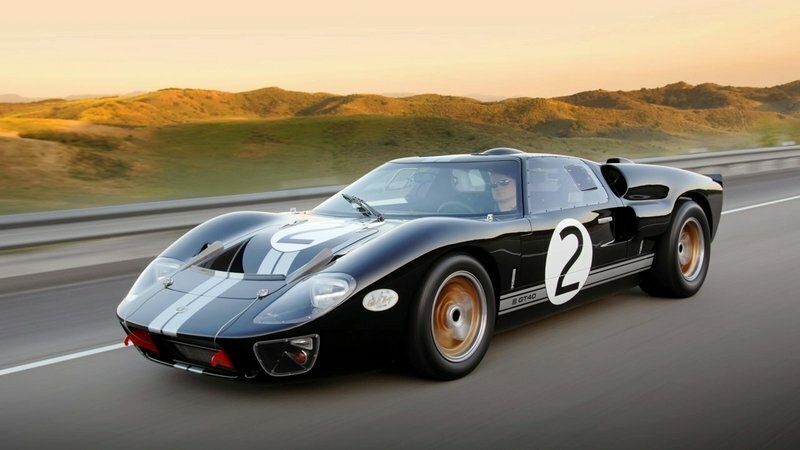 To help celebrate the Shelby on his 85th birthday, Shelby Distribution USA and Shelby Automobiles reproduced 255 examples of the GT40 race car for the 2009 model year. The car was offered the three color schemes, each mimicking the three racing liveries that saw action in the 1966 Le Mans race. In total, 85 examples of each were built. Each car could customized to have either left- or right-hand drive, and were completely road-legal. Each car received a Shelby Automobiles MSO and sales were recorded in the Shelby Registry, making the whole process even more historical. A dash plaque records each car’s build number and authenticity as a legitimate and licensed replica. The design of the replica Ford GT40 is an exact copy of the originals’, though these 2009 examples were constructed from electro-galvanized sheet steel. This helps prevent rust, ensuring each car lasts for decades to come. The pieces were also laser cut to the exact measurements of the originals. The only kicker to the MKII GT40 – it was only offered without an engine. Yep, in order to skirt emissions and crash testing regulations, the car was sold as a rolling chassis. Customers were expected to install their own engine, which of course, should only be a 427 Ford V-8. Anything else would be heresy. Those who wanted to track their Shelby MKII GT40 could opt for the available race version. The package included a roll bar, fuel cell, and air conditioner delete. Caroll Shelby cherished one dream while racing in Europe and North and South America throughout the 1950s; building the world’s fastest sports car. 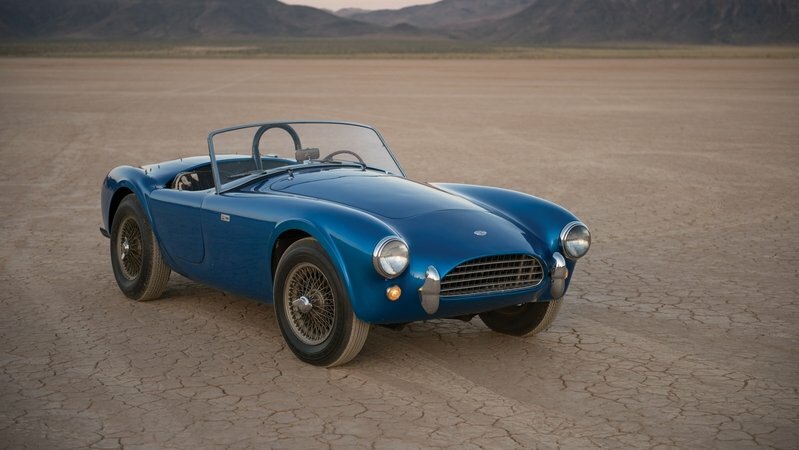 By 1956 he had already come up with a name for his car, it would be called the Cobra. Soon after his 1959 victory at the 24 Hours of LeMans for Aston Martin, Shelby was struck by heart problems. Reluctant to do so, he was forced to give up racing as a driver. This lifestyle setback turned out for the best, however, as Shelby had the opportunity to pursue his Cobra-building dreams. A few years earlier and on the other side of the globe, John Tojeiro designed a small sports car, which sold under the AC Ace name. The open-top car was a simple tube-frame chassis with a Bristol 2.0-liter inline six-cylinder engine derived from the BMW M328 engine. The lightweight combination made the Ace a moderately successful racer. However, its success was jeopardized when BMW began phasing out the 2.0-liter. Other engines were tested, including American V-8s, but the AC Ace’s future seemed dim. So dim in fact, Tojeiro decided to end production of the car. That’s when Shelby heard about the AC Ace and its lightweight design. He immediately contacted AC, along with his long-time associates at Ford Motor Company. He convinced AC to continue constructing the Ace and Ford to supply special versions of its Fairlane engine for installation in the AC chassis. Shelby and his team of engineers and builders shoehorned the V-8 into an AC at Shelby’s Venice, California shop. Of course, these early AC Ace cars were the roadsters that became known as the Shelby AC Cobra. The cars enjoyed a successful racing career, but could never outrun Enzo Ferrari, Shelby’s longtime Le Means rival, and his Ferrari 250 GTO. That’s where the Shelby Daytona Coupe comes in. Shelby had Pete Brock design a more aerodynamic body for the AC Ace – one that would allow for higher top speeds at Le Mans’ Mulsanne Straight. The design worked, allowing the coupe to hit 190 mph. The car’s debut race would be the 1964 Daytona Continental 2000 at the famed Daytona international Speedway in Florida. Ford Motor Company and Carol Shelby have a long and rich history together. Shelby, a WWII flight instructor and test pilot turned professional racecar driver, started his company named Shelby America company in 1962 building a modified version of the AC Cobra. Shelby transformed the small, European roadster into an American muscle car thanks to a Ford V-8. He soon turned his attention to other vehicles as well, including the then-new Ford Mustang. Shelby’s relationship with the Mustang would be his most iconic. His first would be the 1965 Shelby Mustang GT350. It was followed by the Shelby Mustang GT500 in 1967 and the GT500KR in 1968. After 1969, Shelby stopped modifying the pony cars, but not before making a name for himself. It was in 2005 that Shelby decided to revive his Ford heritage. The fifth generation Mustang had just been released and its retro design begged for Shelby’s touch. Working with Ford’s SVT team, Shelby and the crew developed the GT500 – a supercharged V-8 Mustang with 450 horsepower, a matching amount of torque, upgraded suspension components, brakes from Brembo, and a bespoke exterior treatment that make the Shelby Cobra GT500 unique. The car didn’t hit showrooms until the 2007 model year, and within that development time, the GT500’s horsepower had grown to an even 500 horsepower and 480 pound-feet of torque. The GT500 was the most powerful production Mustang Ford had ever created and helped reignite the high-horsepower wars between Detroit’s Big Three – Chevy, Dodge, and Ford. So without further introductions, let’s take a look at the 2007 Shelby Cobra GT500.